Extreme and debilitating fatigue that lasts six months or more. At least four of the eight symptoms listed above. These symptoms should be ongoing or recurring during six or more consecutive months and cannot have first appeared before the fatigue began. If, however, the patient has been fatigued for 6 months or more but does not have four of the eight symptoms, the diagnosis may be ‘idiopathic fatigue’. The fatigue and symptoms are debilitating enough to interfere with daily activities or work. Fatigue and other symptoms of CFS are common to many illnesses. For some CFS patients, it may not be obvious to doctors that they are ill. The illness has a pattern of remission and relapse. Symptoms vary from person to person in type, number, and severity. Sleep disorders:Chronic fatigue can be caused by sleep disorders. A sleep study can determine if your rest is being disturbed by disorders such as obstructive sleep apnea, restless legs syndrome, or insomnia. Nervous system disorders: Your physician may order a CT scan or an MRI of your brain to rule out any disorders of the nervous system that could be causing balance issues or cognitive dysfunction. 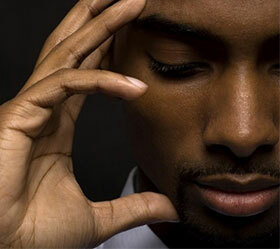 Mental health issues: Depression, anxiety, bipolar disorder and/or schizophrenia can also cause extreme fatigue. Seeking the guidance of, and assessment by a mental health specialist such as a psychologist or counselor can help determine if one of these problems is the cause of your fatigue. NSAIDS: Over-the-counter non-steroidal anti-inflammatory medication such as ibuprofen and naproxen can help with joint and muscle pain. Depending on the severity of symptoms, prescription pain medication may be indicated. Low-dose tricyclic antidepressants: CFS patients often deal with depression. By treating the depression, it can be easier to cope with the disease. Low-dose tricyclic antidepressants may be prescribed and can aid sleep and relieve mild generalized pain. Examples include: desipramine(Norpramin), amitriptyline (Elavil, Etrafon, Limbitrol, Triavil), dedoxepin (Adapin, Sinequan), and nortriptyline (Pamelor). Newer antidepressants: These newer antidepressants have been successfully used to treat patients with CFS. They include: fluoxetine(Prozac), sertraline (Zoloft), bupropion (Wellbutrin), paroxetine (Paxil), venlafaxine (Effexor), and trazodone(Desyrel). Anti-Anxiety medications: Aplrazolam (Xanax) and lorazepam (Ativan) are commonly used to treat anxiety in CFS patients. Stimulants: Lethargy or daytime sleepiness may be treated with stimulants. Sleeping aids: If lifestyle changes, such as avoiding caffeine, do not help a CFS patient get better sleep at night, a physician might suggest trying prescription sleep aids. Stay in constant communication with your physician about how prescribed medications are working for you, or if you are experiencing any side effects. Your doctor may know of new treatments or may even be able to recommend alternative treatments including herbal supplements. 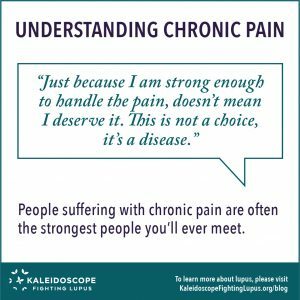 By working closely together, patients and their doctors can create an individualized treatment program that best meets the needs of the patient with CFS. 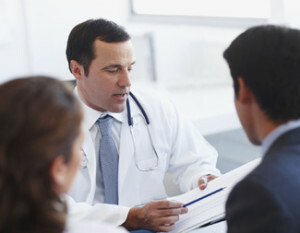 Ideally, this program would include a combination of therapies that not only address symptoms, but provide coping techniques, and the skills to manage and maintain normal daily activities as tolerated by the patient’s changing disease activity levels. Alternative treatment options: The most effective treatment plan for CFS appears to be an approach that combines gentle exercise along with psychological counseling. Exercise: A physical therapist can provide an exercise routine that may be helpful with muscle and joint pain. At the beginning of treatment, some of the prescribed exercises may include a few minutes per day of gentle stretches to increase range-of-motion. The goal is to increase endurance and intensity of exercises over time. Learning how much activity is manageable and helpful is equally as important as learning your personal limits as not to increase the level of fatigue. Counseling: Speaking with a mental health professional can help you find options for coping with chronic fatigue syndrome. Having the tools to help you feel more in control can make a world of difference in your outlook. Manage/reduce stress: Limit emotional stress and overexertion. Make time each day for relaxation and even meditation. Learn how to say ‘no’ and not feel guilty about it! Improve your sleep habits: This may mean that you need to go to bed at night and get out of bed in the morning at the same time each day to get your body on a schedule. Try to limit caffeine intake, alcohol and nicotine use, and avoid, if possible, napping during the day. 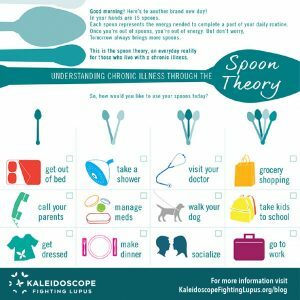 Pace yourself: Have you heard of the spoon theory? It is about managing your expectations of what you will be able to accomplish each day. If you do too much on a given day, you may have less energy and stamina for the following day. Try to minimize social isolation: Without sacrificing your health or taxing your body further, positive social interaction can be very important to your well-being. Try to make and keep plans with friends and loved ones, even if it involves just staying in and watching a movie together! Restrictions in lifestyle: The decrease in stamina may prohibit the patient from performing daily tasks and activities causing changes in relationships with partners, children and other family members and friends. Inability to work: CFS can lead to more absences from work, a loss of independence, financial instability, and economic insecurity. Depression, anger, and guilt: Dealing with the unpredictability of the disease, changes in the ability to perform daily activities, and feeling socially misunderstood and isolated can lead to emotional distress. While it is completely normal to have these feelings, the stress that they can cause may worsen symptoms and make recovery more difficult. A medical journal: It is very important to try to keep an accurate medical diary or journal listing your symptoms, when they occurred, what may have made them worse, etc. 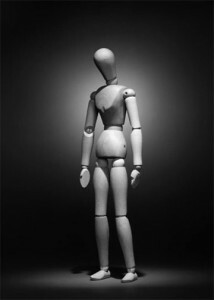 Be as specific as you can including all other abnormal symptoms aside from the fatigue, i.e. confusion, headaches, sore throat, abdominal issues, etc.List in this journal any life issues or major emotional stressors that you have been experiencing, i.e. divorce, moving, loss of a loved one, new job, etc. Medical records: It is important to have an accurate list of any other conditions for which you’re being treated including the names of any medications, vitamins or supplements you take regularly. How often do you feel depressed or anxious? How much do your symptoms limit your ability to function? For example, have you ever had to miss school or work because of your symptoms? What tests will you recommend? If these tests are not conclusive, what additional tests might I need or steps will you take to determine the cause of my symptoms? What would you need to know or conclude to make a diagnosis of chronic fatigue syndrome? Are there lifestyle changes or treatments that might help my symptoms now? Do you have any resource materials I can take home with me? What activities should I be doing or avoiding while we’re seeking a diagnosis? Would you recommend that I also see a mental health provider like a counselor or psychologist?